This podcast features two giants of jazz music. We begin with a tribute to Toots Thielmans, legendary harmonica player, who passed away this week. At the end of this show we feature the music of Wayne Shorter celebrating a birthday this week. Wayne, one of the great jazz saxophonist and composer of our time. In between, you will hear from Zappa, Marsalis and Metheny and more. This podcast features the artistry of Bobby Hutcherson, a jazz master who passed away this week. We feature his music as a leader and a sideman. This episode starts with new music from the Black Arts Collective and concludes with Miles Davis from his landmark album Kind of Blue. A jazz podcast with political undertones. I make a statement with the opening track from Charlie Haden's This is Not America (for DJT). 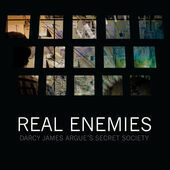 Darcy James Argue's Real Enemies opening track being The Enemy Within sums up my sentiment about one actor in this election year. From their we lighten it up with Dexter, Wynton, Nat and Chick. This year's Newport Jazz Festival was a great success both musically and in terms of attendance. Saturday's event was sold out. This podcast features some of the artists and the tunes they performed. In addition, please check out my photo gallery from the festival.